Fi has translated the judging guidelines , so you can all get an idea of what to aim for! Please read on for more info. Fault section 0-3.5 uneven beat, not relaxed, too high shape, crooked when supposed to be straight, rough or unbalanced rider. Very uneven tempo in some of the elements. Average section 4-6.5 Mostly even beat with occasional mistakes (rolling or intermittent tension causing beat faults). Reasonably relaxed and beginning to go on the bit. Correctly bent around the corners and mostly straight on straight lines. The rider sits straight on the horse and is sensitive, giving clear but subtle aids. There may be some minor conflicts between horse and rider. Occasional uneven tempo is acceptable. Good section 7-10 The horse has a good beat, yields to light aids and is relaxed, but not yet working with impulsion. The rider has good contact with the horse and sits well. Harmonious. Even and balanced tempo. Fault section 0-3.5 uneven beat, not relaxed, insensitive or too obvious aids very uneven tempo in some of the elements, no extension in element 3. Average section 4-6.5 The horse has a good beat, is mostly relaxed and submits to light aids. The rider has good contact. Occasional uneven tempo, and somewhat weak extensions are acceptable. Good section 7-10 Good beat, relaxation, and contact. The horse has begun to go with impulsion and is straight., going evenly on both reins and tracks up on a straight line. Collection is not required. Even and balanced tempo. Fault section 0-3.5 Uneven beat. Tension resulting in loss of relaxation. Very uneven tempo in some elements. No extension in element 3. Average section 4-6.5 Good beat, the horse is relaxed and there is good contact. The horse has begun to move with impulsion and is straight on both reins, tracking up when on a straight line. Collection not necessary for these marks. Occasional uneven tempo or somewhat weak extension is acceptable. Good section 7-10 Everything is reasonably good and the horse is beginning to be collected yet remains relaxed. Even and balanced tempo. So I wasn’t as good at keeping up my cake or bake weekly challenge as we were at making a monthly munching scheme happen! I have kept up the baking and a good deal of it has been sold for charity! This year we have moved house, I got a pony, did a sports events that I would never have though possible and went on an amazing safari. Did I mention that the safari was on horseback? All in all an amazing year. So I don’t feel too bad about my baking lapses! Just bad enough for one final post. A Victoria Sandwich with a recipe from the grand Dame of baking herself, Mary Berry. 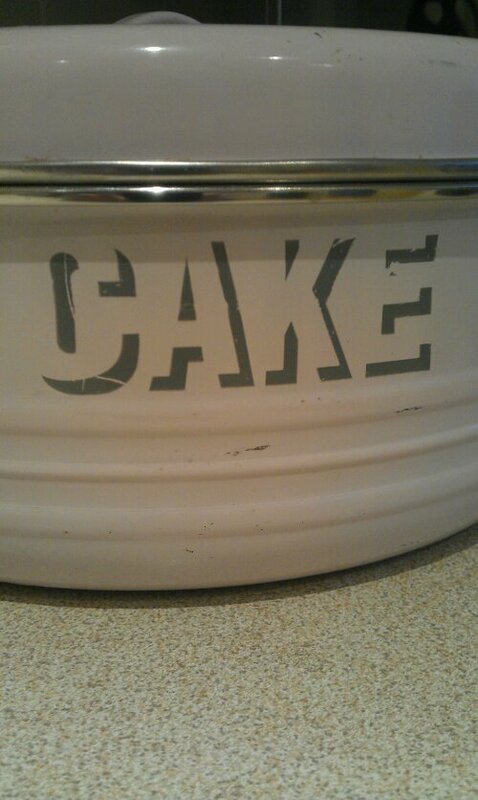 It’s nestling in my cake tin, waiting for tea time. Really pleased with its appearance, it’s glistening with caster sugar like a jewel. 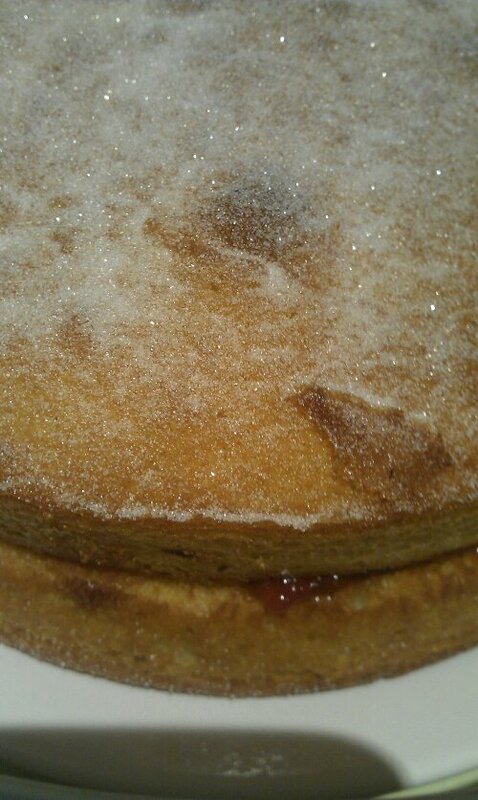 The ruby red of my home made strawberry jam peaks out from the sides and the cakes are a lovely gold. Hopefully the taste will live up to the looks! Roll on 2013 and some occasional blogs! Home made rhubarb curd, topped with a mountain of merengue and served to friends. Yummy! A really scrumptious cake from the excellent good Housekeeping 101 Cakes. They were for Charity, for a 60th birthday and for general munching. Next week there will be a new cake I promise! A quick and tasty bake. Perfect for freeing your house of manky bananas 🙂 This one had the welcome addition of figs for a bit crunch. A good addition to any (every) lunchbox. So we attempted to make sea salt caramels that were mean to be hard and crunchy. This however didn’t work, the caramel refused to set! So a few days later I whipped up a batch of shortbread and pressed it down into a square tin for baking. Whilst it was in the oven I reboiled the caramel. Once the shortbread was cooled the caramel was poured over it. A few Maldon sea salt crystals graced the mix. Dark chocolate covered the caramel and had a touch more salt on it. This was a whole day cake baking extravaganza! Myself and my friend both have the Adriano Zumbo cook book. A page of ingredients and a number of elaborate techniques meant that this was far from easy to assemble! Was it worth it? I think yes. This cake is also gluten free. A flour free pistachio based cake mix also contained rhubarb. This kept it moist and tangy. The cake was meant to have homemade strawberry pastilles in it. We have them a go, but they didn’t set. Instead we used the resulting goo to smear a layer on top of the cake under the marzipan. The cake was finished with green marzipan and sprinkles. The strawberry goo was lovely to make pink cupcakes with and very tasty as a drizzle for meringues.